On May 26, 2015, the City Council declared a Stage 1 Water Shortage Emergency and implemented water restrictions and regulations to residential and irrigation water services in order to meet the State imposed 28% water use reduction. 1) Baseline water amount were determined based on the amount of water used during the same billing period in 2014. Customers were recently notified about their baseline amount via the USPS. 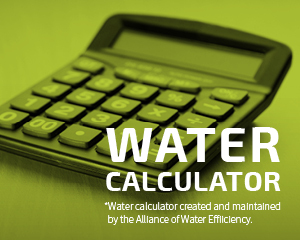 Customers may also click here to determine their baseline water amount. Customers HAVE TO change their habits regarding the use of water. Those residents that have already achieved substantial conservation may not need to modify habits at all, while other will have to make decisions with regards to landscaping versus domestic needs. It is important to note that Stage 1 condition is intended to allow residents to choose how to utilize their water rather than mandate specifically how reductions are achieved. In other words, it would allow the application of water for landscape purposes if the required allotment is not exceeded. For unusual circumstances, your baseline can be adjusted. Click here for more information. The City is doing its part to save water. On March 24, 2015, the City Council approved the Parks and Recreation Commission's recommendation to implement water conservation and turf removal measures for the City's parks and landscape areas. The City's Water Audit Report details all the turf removal and irrigation modifications that will be implemented. The Arroyo Grande City Council established on-going mandatory water use restrictions and has implemented several reduction measures to help preserve our precious and limited water resources. Please do your part! Even Numbered Addresses may irrigate on Mondays and Thursdays. Odd Numbered Addresses may irrigate on Tuesdays and Fridays. No irrigation is allowed on Wednesdays. Currently all addresses may irrigate on Saturdays and Sundays. Emptying and refilling swimming pools and spas is prohibited, except to prevent structural damage and/or to provide for the public health and safety. Outdoor water use for washing vehicles, boats, buildings or similar uses shall be attended and have hand-controlled watering devices typically including spring-loaded shutoff nozzles. Use of potable water for construction activities, such as dust control and compaction purposes, is prohibited.